A very long time ago, human beings collectively discarded their hunter-gatherer ways in favour of the farm. Agriculture was born; civilizations arose and technology followed. We grew and we flourished, for the most part. Many years later, in the 1960’s, a biologist and eventual Nobel laureate by the name of Norman Borlaug headed a number of initiatives—now known as the Green Revolution—that transformed the face of modern-day agriculture. He stopped a famine dead in its tracks and saved a billion lives. Now in the 21st century, with technological advances rolling along at a tumultuous pace, the time may be nigh to start looking ahead to our next big agrarian breakthrough. After all, world hunger is still a monumental issue, especially as population forecasts continue to skyrocket. Borlaug, through the use of selective breeding, gave us the Green Revolution—now let’s talk about the Genetic Revolution. If recent March Against Monsanto rallies are anything to go by, however, it’s safe to say that public attitudes towards genetically modified organisms (GMOs) remain as turbulent as ever. A huge corporation with a monopolistic stranglehold on agricultural biotech, Monsanto has come to represent the epitome of corporate greed, the poster boy for Big Whatever. Their lawsuits against poor farmers who re-used their engineered seeds are well known, as is the plight of almost 300,000 Indian farmers driven to suicide over insurmountable debt. "Because GMOs are now almost intrinsically tied to the company, a mere whisper of the three letters will bring up the heat in any room occupied by normally temperately-disposed people." Everyone and their grandmother seem to agree that Monsanto is evil. And because GMOs are now almost intrinsically tied to the company, a mere whisper of the three letters will bring up the heat in any room occupied by normally temperately-disposed people. One look at all the “Say No to GMO!” signs at the Monsanto protests will tell you as much: GMOs are bad. A 2015 Pew poll found that only 37% of Americans thought that GMO foods were safe to eat, in comparison to the 88% of scientists who said the same. That 51% gap was the largest disparity between public and scientific opinion reported out of all the issues addressed, including but not limited to vaccines, climate change and evolution. But let’s try to take a step back here. Let’s detach the term GMO from our corporate and emotional biases and examine it for what it really is: a very promising area of research. 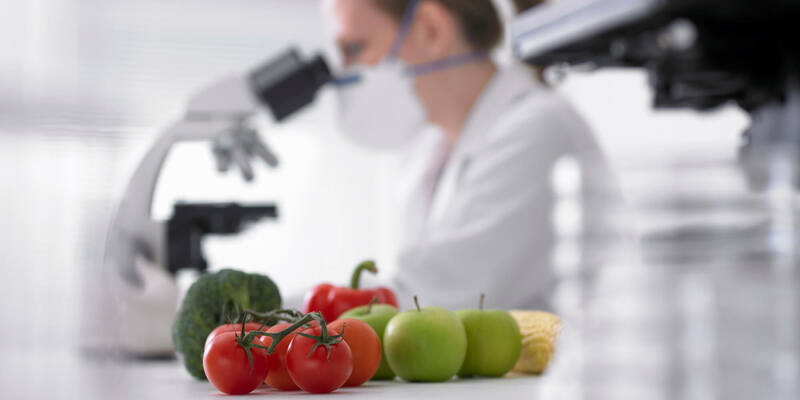 A genetically modified organism refers to any organism that has received some kind of structural change in its DNA through human intervention: an insertion or deletion of a single gene, for example. That’s it. Genetic modification is not some wacko experiment by some off-the-rails mad scientist, as the oft-used term “Frankenfood” would have you believe; rather, it is simply a progression of techniques we’ve employed for centuries. Long before the advent of the scientific method, farmers observed certain crops that possessed more desirable traits and bred them with each other. Over generations, this led to the development of many of our staple crops as we know them today—wheat, corn and soy, to name a few. "Humans are prone to prodding and tinkering; that we messed around with the natural order of things a long time ago should come as no surprise." We know now that selective breeding relies on the core principle of evolution: that random gene mutations occur within a species, causing variation. As farmers, we dictated the variations that would survive. Humans are prone to prodding and tinkering; that we messed around with the natural order of things a long time ago should come as no surprise. It’s what got us so far in the first place, so why stop now? Genetic modification has made a painstaking process a lot simpler, at least in concept. Instead of guiding the reins of evolution, we can now spur it on. No more rigorous breeding and trial and error. Scientists can target the desired results much more precisely and efficiently. "The yields of farmers reportedly increased by up to 25%." Tremendously useful traits have arisen out of these techniques. In 2006, Ronald and her research group at UC Davis looked at a rare and peculiar species of East Indian rice that could survive in water for two weeks, but was scarcely grown due its poor yields. They isolated the gene that caused this extraordinary trait (which they named Sub1) and inserted it into a more common, widely grown variety of rice. The result? Swarna-Sub1, a flood-resistant crop. It was a game changer. With the help of the International Rice Research Institute (IRRI), up to four million farmers who normally had much of their crops destroyed by annual floods were able to plant the magical rice. Their yields were reported to have increased by up to 25%. And that’s only touching the surface of what GMOs can do for us. Bt-corn, which is engineered with genes from the Bacillus thuringiensis bacteria, acts as a self-pesticide, preventing about a billion dollars in crop damage annually. Then there was Golden Rice, the first nutrient-enriched GMO: a grain fortified with beta-carotene in order to combat vitamin A deficiency in Sub-Saharan Africa. More recently, researchers at the IRRI are trying to actually alter the way rice plants utilize photosynthesis, which would in turn allow greater yields with smaller amounts of water. Of course, in order for any of this to happen, significant re-wiring of the public discourse has to take place. People just don’t really trust GMOs yet and, until they do, no organized initiatives to revolutionize food security, advance sustainable agriculture or increase public health will occur. No one’s saying genetic modification is going to be the be-all and end-all, but it definitely is an invaluable tool with a lot to offer the world. The scientific literature overwhelmingly affirms the safety of GMO foods. But science has had a pretty bad track record when it comes to convincing skeptics; we’ve seen it over and over again with vaccines and evolution and climate change. Belief systems are rigid and more often than not, based on emotion and personal experience rather than logic. Skeptics view science as just another institution to be wary of, and you can’t fault them. As much we’d like it to be, it’s important to keep in mind that science is almost never completely objective. Behind closed doors, exterior social, political and corporate forces, as well as conflicts of interest, affect research. Scientists can have fatal human flaws too. Sometimes they’ll even make mistakes. But that’s why the peer review process exists. That’s why experiments are repeated over and over. Science is rigorous, and a staggering consensus over safety is hard to argue with. "Monsanto’s practices have driven legitimate conversation about the biotechnology—the actual science—out of the picture." He’s right. Monsanto’s practices have driven legitimate conversation about the biotechnology—the actual science—out of the picture. The general public is wrapped up in the patent controversies, the business strategies. The recent allegation that their herbicide, Roundup (which they have used to systematically monopolize the market with their own Roundup-resistant GMO crops), is actually toxic to human health made huge waves. This, of course, is a legitimate concern that needs to be addressed. The March Against Monsanto is a good place to start, but the pervasive correlation between Monsanto-hate and GMO-hate needs to be severed. People need to understand that Monsanto does not have to define the future of agricultural biotechnology. We need to take the fervent passion the public has shown and direct it towards activism focused on the benefits of genetic modification rather than the misuse. Addressing issues in scientific literacy and communication will be important. Scientists need to take a more active role outside of the lab by taking initiatives to speak to communities, spread awareness and foster a positive pro-science environment. Movements and ideas spread like wildfire. Once the narrative on GMOs is flipped, the voice of the people could be all it takes to begin the Genetic Revolution. It’ll start with grassroots movements. As pro-GMO sentiments sweep across the globe, the industry will expand. Brilliant minds and ambitious entrepreneurs will enter the scene, knocking Monsanto off its perch. Genetic modification will continue to increase yields in the Third World, providing innovative new solutions to food insecurity and malnutrition. Drought and virus resistant crops are a taste of what could be next for farmers in Africa. A little closer to home, we’re looking at a future where nutrient-fortified GMOs could saturate the produce market and become the norm. Let’s leave no doubts here: GMOs will be extremely important in the future. When and to what extent is still to be seen.